In recent months CloudFlare has been called out repeatedly for offering its services to known pirate sites, including The Pirate Bay. 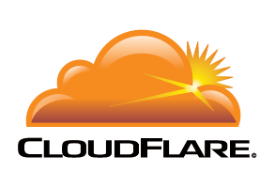 These allegations have now resulted in the first lawsuit after adult entertainment publisher ALS Scan filed a complaint against CloudFlare at a California federal court. Copyright holders are not happy with CloudFlare’s actions. Just recently, the Hollywood-affiliated group Digital Citizens Alliance called the company out for helping pirate sites to stay online. Adult entertainment outfit ALS Scan agrees and has now become the first dissenter to take CloudFlare to court. In a complaint filed at a California federal court, ALS describes piracy as the greatest threat to its business. The rise of online piracy has significantly hurt the company’s profits, they argue, noting that “pirate” sites are not the only problem. “The problems faced by ALS are not limited to the growing presence of sites featuring infringing content, or ‘pirate’ sites. A growing number of service providers are helping pirate sites thrive by supporting and engaging in commerce with these sites,” ALS writes (pdf). These service providers include hosting companies, CDN providers, but also advertising brokers. The lawsuit at hand zooms in on two of them, CloudFlare and the advertising provider Juicy Ads. According to the complaint, both companies have failed to cut their ties with alleged pirate sites, even though they received multiple takedown notices. CloudFlare and Juicy Ads’ terms state that they terminate accounts of repeat infringers. However, according to ALS both prefer to keep these sites on as customers, so they can continue to profit from them. state that they will terminate business with repeat infringers, neither Juicy Ads nor Cloudflare has terminated its business accounts with these chronic direct infringers. “On information and belief, this is because Juicy Ads and Cloudflare make money by continuing to do commerce with sites that draw traffic through the lure of free infringing content,” the company writes. The complaint lists Imgchili.net, Slimpics.com, Cumonmy.com, Bestofsexpics.com and Stooorage.com and CloudFlare customers that host copyright infringing material from ALS, and as of today these sites are still using the CDN provider’s services. Juicy Ads reportedly terminated the accounts of several infringing sites after they learned about the lawsuit, but that doesn’t mean that it can escape liability for its earlier actions. ALS holds both companies responsible for various counts of copyright and trademark infringement, for which it demands actual and statutory damages. With hundreds of works at stake, theoretical damages can run to dozens of millions of dollars. Both CloudFlare and Juicy Ads have yet to file a formal response to the allegations.